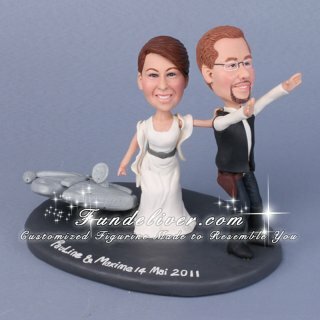 This is a completely customized Star Wars themed wedding cake topper ordered by one of our customers. They are French, so they would like the wedding date to be written in the French way, which is 14 Mai 2011 for May 14, 2011. About bride and groom, they would like to make the same clothes as our another Princess Leia and Hans solo cake topper but keep the hair style of their own. 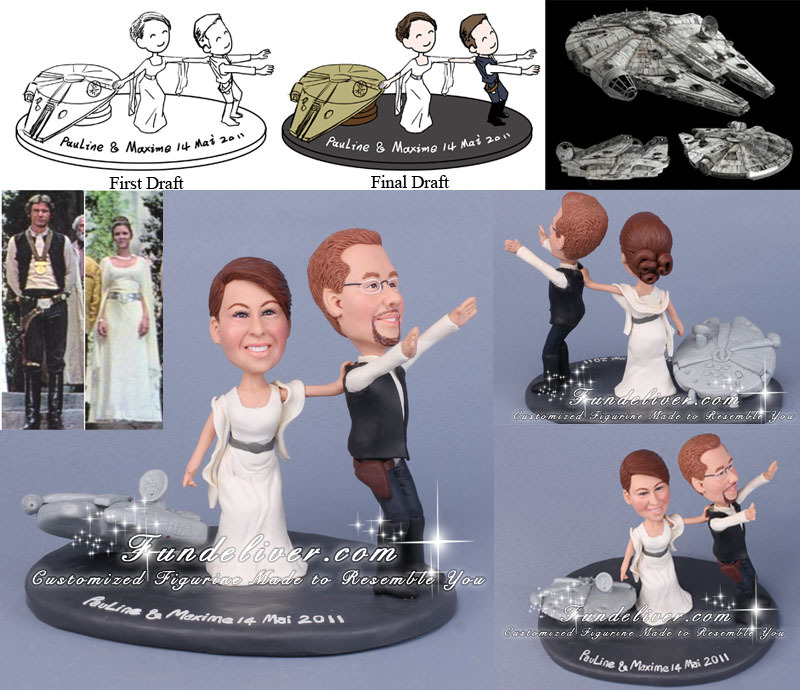 Also they would like to place the Millennium Falcon aside of bride and groom figurine and make them to be posed like bride trying to bring groom to the spaceship while groom is trying to escape. This personalized Star Wars cake topper will be a great keepsake for Star Wars fans.